0-5 bout experience? play against us on 14 Nov! 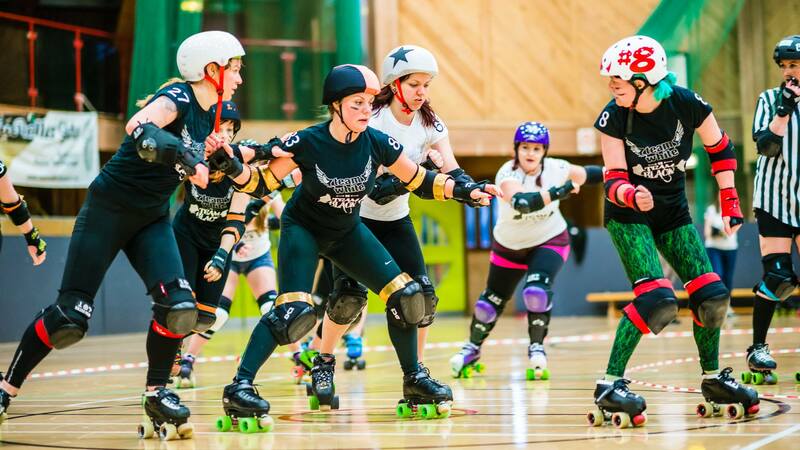 Newcastle Roller Girls is growing at a massive pace and we have a new generation of skaters itching to bout, so we’re putting on an extra game at our NRG vs LRG double header on Saturday 14 November 2015. We’ve got the NRG team, but we need an opponent – want to skate against us? You need to be post minimum skills, and have played no more than 5 public bouts. Plenty of our team will have had little or no bouting experience, so if this is your first time, don’t be shy! On the day we’ll provide a bench and line up coaches, and they’ll be giving you coaching and support throughout the bout to make sure you have fun and get the most out of it. The cost to take part is £15, which includes entry to the two Newcastle Roller Girls vs London Roller Girls bouts taking place straight after yours. First whistle for your game will be at 10:45am, so you’ll need to arrive around 9am. Newcastle Roller Girls is an all-female league, so please note this bout is for female skaters.